Three recent mistakes on my part: a writing error; a mishearing; and a misinterpretation of what I heard. The writing error. Back on the 25th, I intended to write big fuss, but started by producing bigg, then realized my mistake — anticipating the doubled letter in fuss by doubling the g of big — and corrected it. Errors of anticipation (and also transposition errors) are evidence of planning ahead in language production: the plan for what you are about to write or say interferes with the execution of your current plan. A: Who cuts your hair? B: My sister. She has for years. Unfortunately, I heard the second part of B’s answer as “She has four ears”, but almost immediately saw that made no sense in the context and realized what B must have said. For and four are homophones for me, and years and ears are phonologically very close. 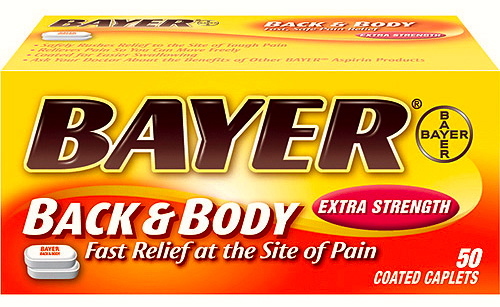 For me, Bayer and bare are homophones. And it was probably relevant that I’d been posting about barebacking recently. This entry was posted on May 28, 2013 at 7:22 am and is filed under Errors, Mishearings, Typos. You can follow any responses to this entry through the RSS 2.0 feed. You can leave a response, or trackback from your own site.